Mike is a long-time partner of Dell. He has used Dell’s Latitude Rugged Laptops and Precision Workstations on his journeys to remote areas of the world. Mike’s passion for exploring the unknown has carried down to his daughter Lillianna. With this passion, Lilliana and her father have created the Joyineering Foundation to provide technology to students in remote areas. 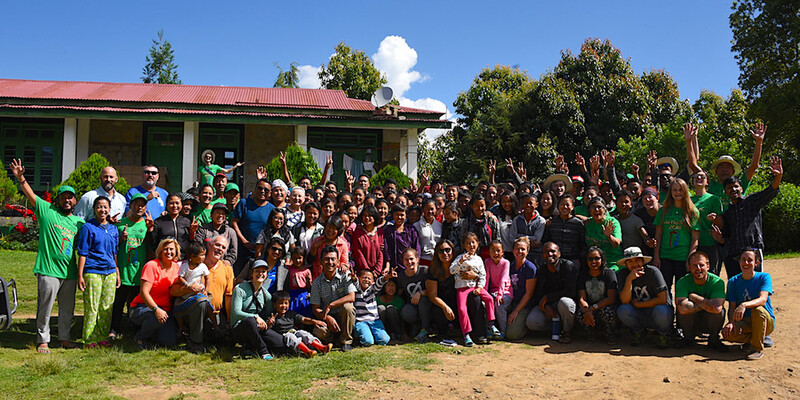 As a true partner, Mike challenged the Dell team to become part of the journey to open a technology lab for an orphanage in a very remote area of Anruchal Pradesh, Eastern India. In January we agreed to put six members of my team on the ground with Lilliana & Mike. Learn more about Jhamtse Gatsal and its founder Buddhist monk Lobsang Phuntsok in this special documentary. The students range from ages 4-18 and this would be the first time they would ever experience technology that would now open the world to them. The plan included providing twenty Dell Latitude Education devices that would be connected to the internet and powered by solar panels and a solar generator for the 80+ students at Jhamtse Gatsal. After days of hard work we were there, in the moment, to experience how Dell’s technology changed their lives. After some serious travel, we learned a little bit about what Mike likes to refer to as the “full-value” experience. That means, you’re in it with no turning back, “living the dream” and there isn’t good or bad… there’s just joy or “pre-joy,” that challenging part of life you push through until you hit the next great moment. I don’t know that I can put it any better. On this trip, I saw a group of people work together to pull off a fantastic result. 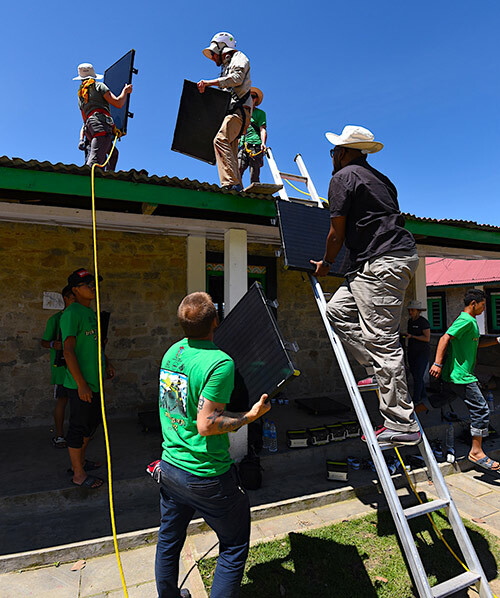 I’m more than pleased to say it was an overwhelming success, and the solar power gear we set up will not only support the school but also the surrounding homes in the village. It’s difficult to put into words the reward you experience on just such an outing. Similarly, while our project generated excitement and gratitude from those we came to help, our team was equally affected by the love and compassion that we watched these people pour out on the children they’ve taken in, and how they were equally welcoming of us in their village. What they had, they shared joyfully. I am so proud to work for Dell where there is such a strong focus on giving, and where we celebrate leaving behind a #LegacyofGood. Kudos and thanks to the Dell team that came to India which includes Shannon MacKay, Claudia Davila, Munira Baldiwala, Mark Rehmann, and Chris Ware… and to Jeff Morris and the extended team for assisting us from afar. This was one of the most inspirational and emotional experiences of my life. The spirit of everyone involved was lifted up and the reception and gratitude from the community was just overwhelming. We went to make a difference … we left with an experience of a lifetime touched by the students of Jhamtse Gatsal. 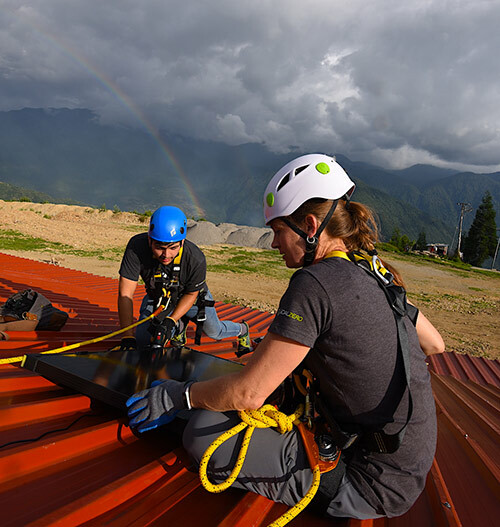 Read the story about Dell’s Solar Powered Learning Labs, a Dell Youth Learning program that helps deliver sustainable and affordable connectivity to schools in some of the most underprivileged areas of the world.